Spray 6-quart Instant Pot™ insert with cooking spray. Add broth to insert. Stir in garlic, salt and pepper. Add pork chops to broth mixture in insert. Secure lid; set pressure valve to SEALING. Select MANUAL; cook on high pressure 2 minutes. Select CANCEL. Set pressure valve to VENTING to quick-release pressure. 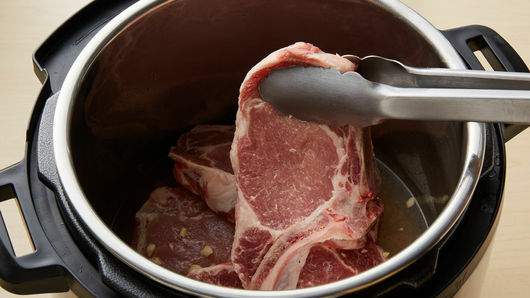 Internal temperature of pork should be at least 145°F using instant-read thermometer. If pork is not done, select MANUAL and cook on high pressure 1 to 2 minutes longer. Select CANCEL. Set pressure valve to VENTING to quick-release pressure. 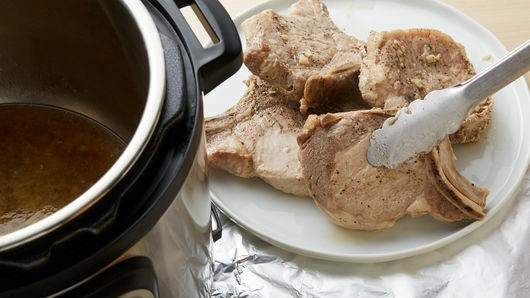 Remove pork chops from pot, and place on plate; cover with foil to keep warm. In small bowl, beat cornstarch and water with whisk. 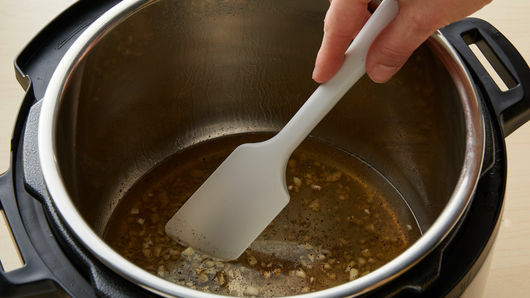 Select SAUTE, and adjust to normal; heat liquid to simmering. Beat in cornstarch mixture; cook 30 to 60 seconds, beating frequently with whisk, until thickened. Select CANCEL. 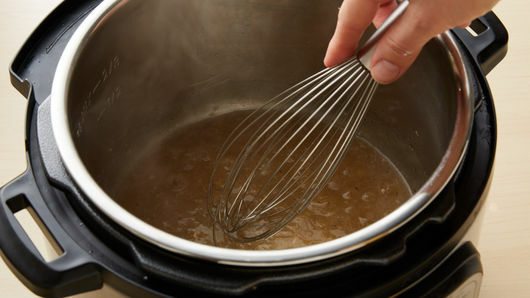 Beat in cream cheese with whisk until smooth. Serve over pork chops. For a pretty pop of green on top, sprinkle with chopped fresh parsley leaves. 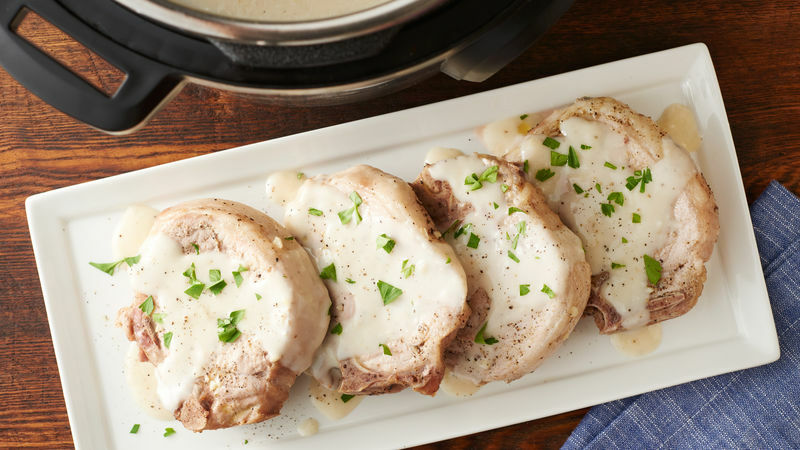 If juices collect on plate while pork chops rest, pour off the accumulated liquid, and discard before topping with the creamy garlic sauce. Be sure to purchase thin bone-in pork chops. Thicker cut chops won't get done in this short cook time.